I developed this chart to show the different ship's insignias for the 12 original Constitution Class Starships. 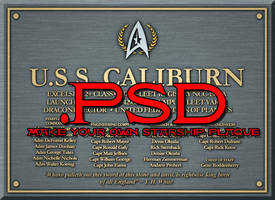 I based each design on the ones that were done back in 1980 for the U.S.S. Enterprise Officer's Manual by Geoffery Mandel and illustrated by Geoffery Mandel and Doug Drexler, with the exception of the Enterprise, Constellation and Exeter since those insignias were actually seen on screen. Another thing that I did was try to offer an explanation on the numbers lower than 1700 since the Constitution was the lead ship of the class. So as a result, I reasoned that ships's with 17xx numbers would be new builds and that ships of the 10xx and 16xx were older model ships that were refitted to Constitution class specifications, A theory that I have is that the Constellation Class was built before the Constitution but still had the same dual hull, dual Warp Engine configuration, so they could easily be updated and refitted to the new Constitution standards and Starfleet decided to keep the original names and NCC numbers for record keeping reasons instead of issuing new ones. 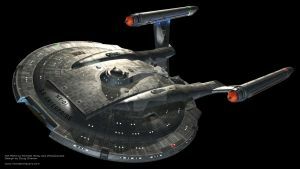 Based upon the links that p51cmustang provided in the comments section, I have changed the NCC numbers for the USS Hood to NCC-1703, the USS Lexington to NCC-1709 and the USS Potemkin to NCC-1657. Also, I have reorganized the insignias to keep them in numerical order. WAY COOL ARTWORK, SHIPMATE! "LIVE LONG AND PROSPER!" yet another example of how the new Trek movies are poorly written. Thank you sir! p51cmustang thank you for the links, I will update the creative as soon as time permits, I want to thank you all for the heads up on this. You guys are the greatest!